A strong and lightweight feed scoop from Harold Moore, with a sturdy easy-grip handle and a deep set scoop design for holding a moderate capacity of food. 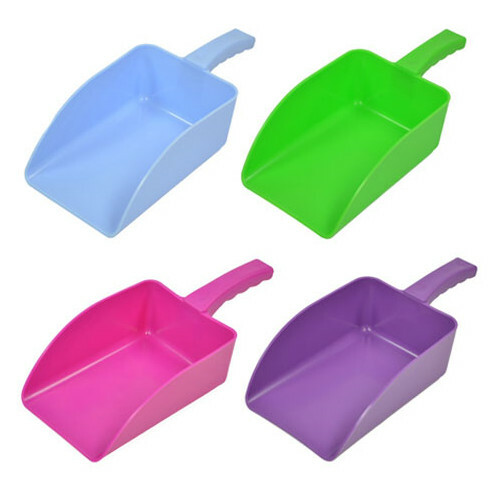 The scoops come in a variety of vibrant colours, making it easy to associate them with different foods. There are currently no questions for Harold Moore Feed Scoop - be the first to ask one!